Just because you are sailing on a 154,000ton luxury cruise liner does not mean you will breeze through the sun soaked Caribbean… this is 70000TONS OF METAL after all! 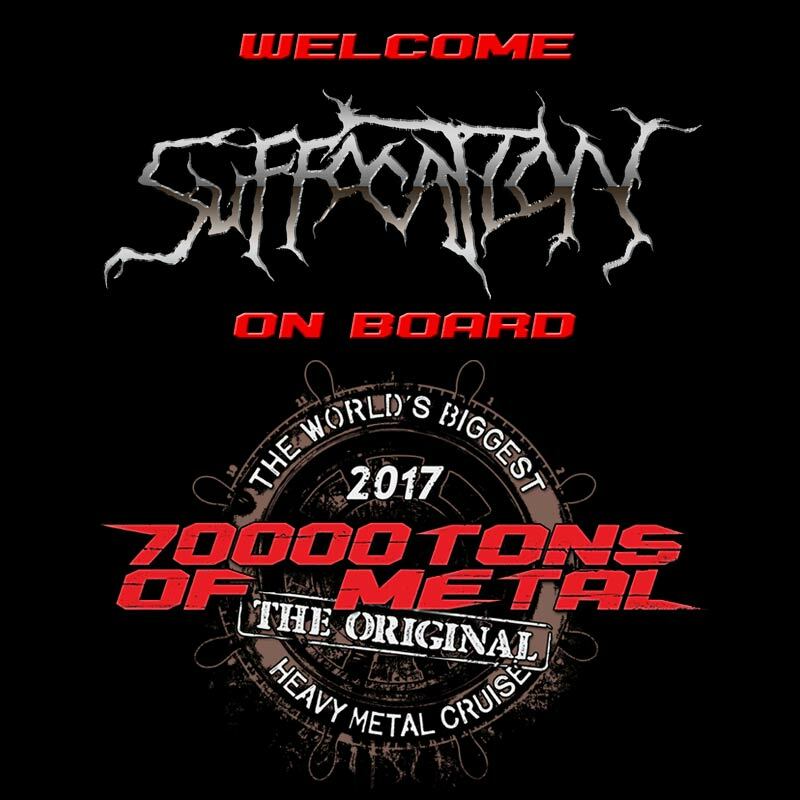 We are compelling you to mosh and headbang your faces off to SUFFOCATION on board Round 7 of The Original, The World’s Biggest Heavy Metal Cruise! ← GOLD Booking Confirmations Are On The Way!